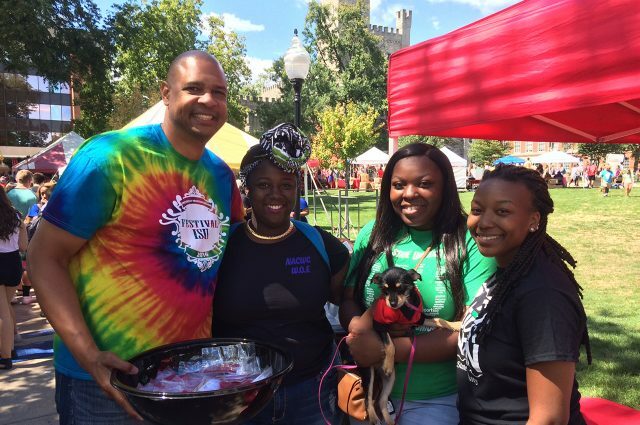 Festival ISU, a fall campus tradition, features nearly 300 Registered Student Organizations as well as approximately 100 community businesses and organizations. The festival, sponsored by the University Program Board and the Dean of Students Office, provides the opportunity for students to come together to learn about the myriad of ways they can enhance their college experience and get involved. For more information about Festival ISU, please visit the Festival ISU website.